We're a volunteer group of certified horticultural experts, dedicated to helping home gardeners be successful and to support sustainable landscape practices in York Region. Master Gardeners are committed to science-based, sustainable gardening practices. We participate in a range of community events that provide an opportunity for us to help home gardeners improve their results and explore new things. Public projects—email us if you have something to propose. We have an official tree, the Maple, but not a flower. The Master Gardeners of Ontario think Canada’s 150th birthday is the perfect time to launch a campaign to get one! ​Please visit our Blog page for details. 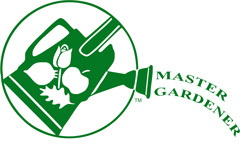 If you’d like to find out about joining us, visit our page Become a Master Gardener. Lake Simcoe South Master Gardeners is a member of ﻿Master Gardeners of Ontario, Inc. (MGOI)﻿, a registered non-profit organization.